SWEET relief is on the way for drought-affected farmers as Mortimers Farms send off truck loads of spuds to feed New South Wales livestock. 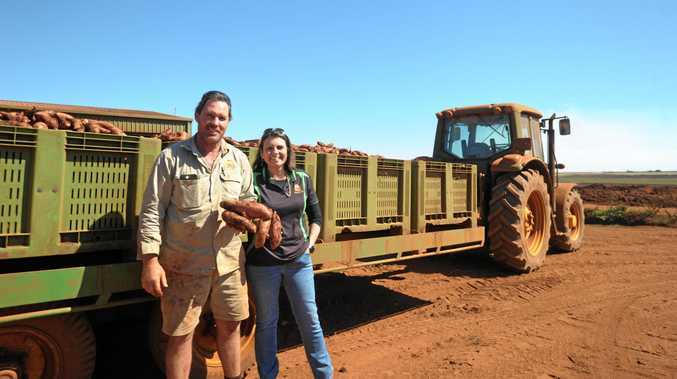 Owners Russell and Shana Mortimer teamed up with Aussie Helpers and Rosy Produce to send 44 tons of sweet potatoes down south and will be continuing to send more over the weekend. "The community as a whole needs to get behind Australian growers and Australian produce," Mr Mortimer said. The sweet potatoes sent to aid struggling farmers are usually crushed back into the soil as they're not cosmetically up to market standards. He said that they're completely fine to eat but are picked from the batches because of minor problems such as skin peeling or cracking due to the cold weather snap. "You could peel them and eat them in your kitchen but they don't represent well in a trade pack," he said. Making use of the potatoes this way will assist in creating feed for cattle in the NSW regions where the drought has hit the hardest, and will inevitably help reduce insects for the Bundaberg farms as well. "Even when the drought ends, it's going to be a long road for those guys to get back on their feet," he said. Mortimers Farms are a member of the Australian Sweet Potato Growers Association and the idea to donate the unused spuds had been pitched at a recent meeting. "There are many other sweet potato growers, and the association, keen to get behind this," Mrs Mortimer said. This movement will make a huge difference to farmers in need as well as dealing with a serious wastage issue hindering many sweet potato growers. 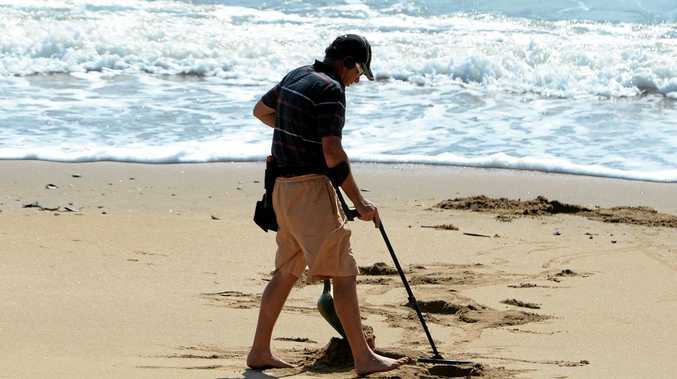 "Aussie Helpers are fantastic because they are on the front-line doing all of this," she said. The couple urge the Bundaberg community to get behind farmers that are doing it tough through the huge number of campaigns that have popped up nation-wide.